This is a really pretty double wire wrapped pendant necklace. 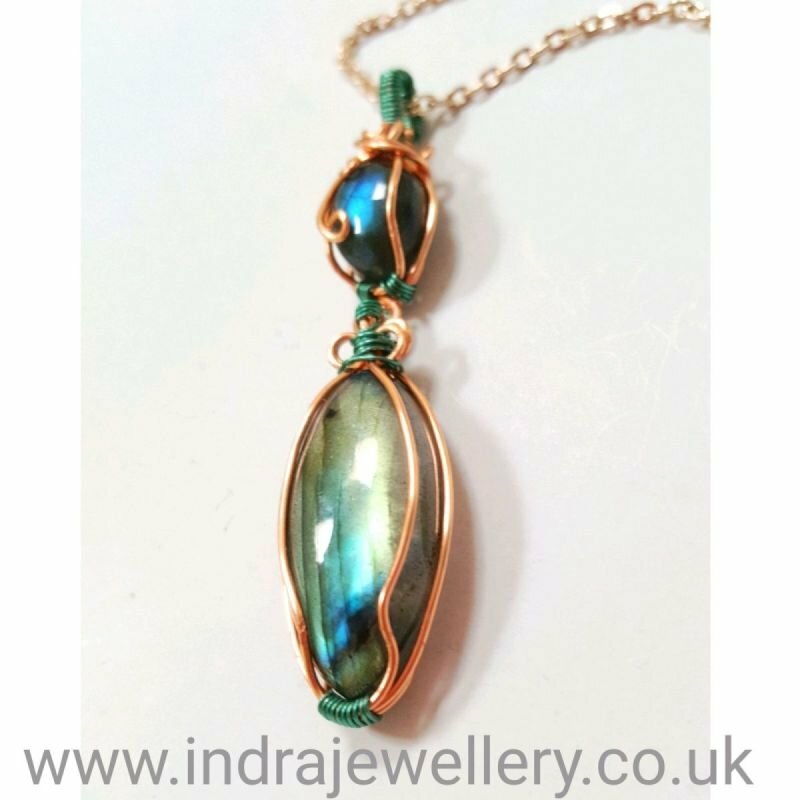 The pendant is made from labradorite stone with the most stunning blue flashes, I have wrapped it in a rose gold wire cage with a green wire to the top of the cage and attached it to a rose gold plated chain. The labradorite measures approximately 2.5" by 0.5" and the chain measures 24".